Faced with the prospect of a trip to Exeter for the Daggers League Two match, the Daggers Diary team headed north of the border to see what is happening in the Highland League. The Highland League is over one hundred years, but it is arguable that it faces one of its biggest challenges in the coming years. Following the re-organization of the professional game in Scotland, the Highland League (along with the newly created Lowland League) was going to become a feeder league to the SPFL. It was proposed that the winner of the two respective leagues would play off against each other, in order to provide the opposition in another play off against the team finishing bottom of the SPFL. Founded in 1893 (at the working mans club in Inverness) there were originally seven clubs, although by the time the league celebrated its centenary, this had expanded to eighteen, which is the number maintained at the present time. However, in a new year address posted on their clubs website, one Highland League club chairman explained that their view was that any club winning promotion in this manner should have their finances checked to see if they could cope with the monetary pressures of promotion to the SPFL. He also expressed concerns about the potential fall out of any club not being able to continue in the division. I can see what he means. In England, we have had Chester City and Rushden & Diamonds go out of business in recent years having occupied a Football League in the none too distance past. However, I am not sure that their demise was directly linked to chasing promotion or staying in the league. From what I can remember, it was more than just that. No one wants to see a club go out of business, less so one that has started to play in that country’s top leagues. Which is all well and good, but surely the point of any sport is to be able to test yourself at a higher level? A (pre-emptive?) counter argument was posted by Niall Slater back in June 2013 on the Two Unfortunates website, in which he argues that the powers that be in the lower echelons of Scottish football are completely disinterested in footballing merit, and are wholly focused on maintaining self-preservation. He also cites the case that teams could only be promoted because of a healthy bank balance and uses Gretna as an example, when they flew up the leagues, only for their backing to be withdrawn and they to disappear even quicker. 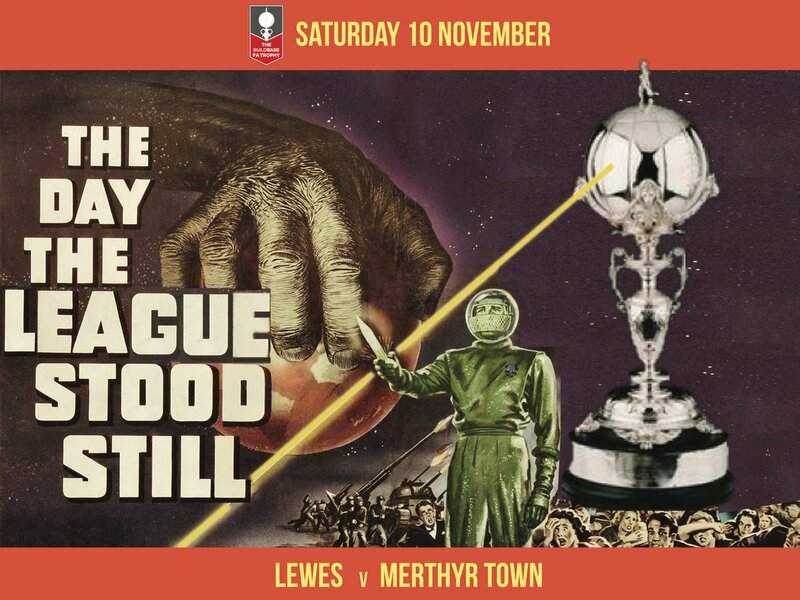 Teams disappearing, or dropping down divisions when financial backing is withdrawn is not something that we are unfamiliar with in the English non-league game. 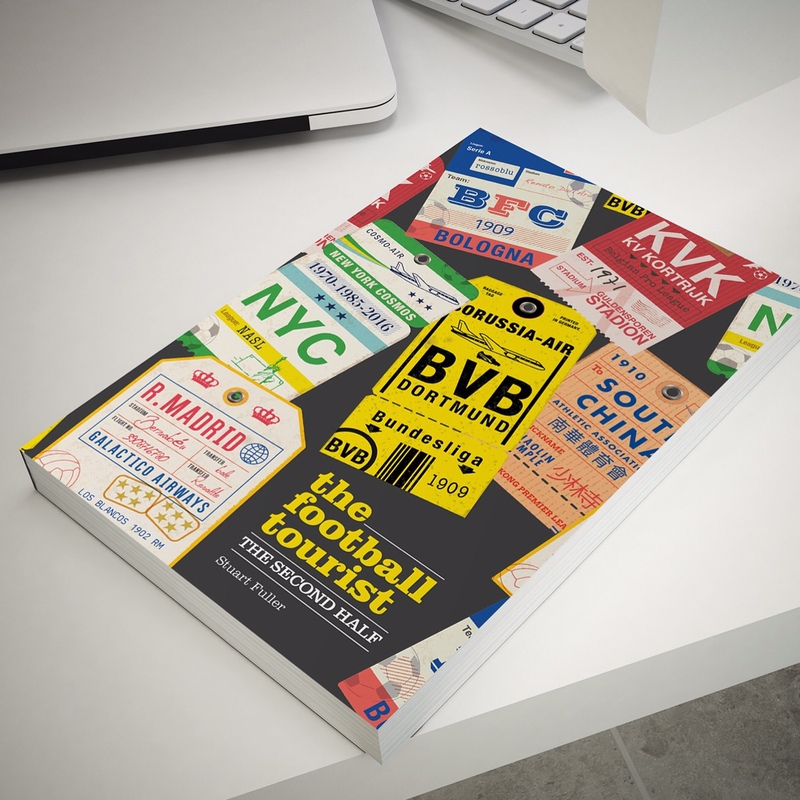 So what is the football like? Well, I may not have chosen the most competitive game to attend. 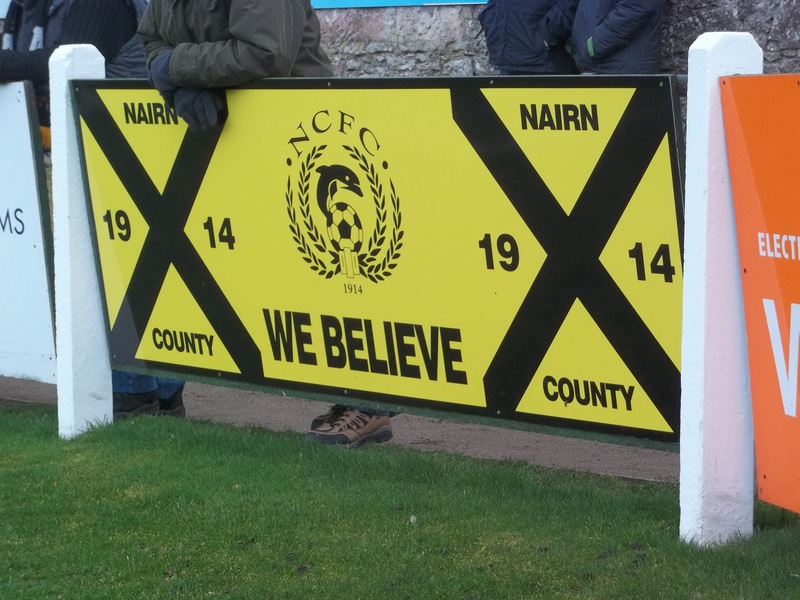 Nairn county currently sit second in the division, having scored seventy-odd goals in nineteen league games. They are behind Brora Rangers, who in four fewer games have scored ninety-one. Huntly are presently thirteenth, and are just twenty four points clear of bottom placed Fort William. Fort William have a record very reminiscent of Derby County’s ill-fated premier league season of a few years ago, having won just one game so far, and drawn another three out of twenty one. Having shipped an average of four goals a game, does this constitute a competitive league that is the envy of Scotland, as claimed by Chairman Mackintosh? Nairn is only a fifteen minute train journey from Inverness, but the trains don’t appear to be that regular. The ground is a five minute walk from the station, so I can either arrive with two hours to spare, or get the next train, and with fifteen minutes to go. I opt for the later train, and as we make our way along the tracks, the snow-capped mountains are visible in the distance. The scenery is stunning, but then in the middle of an empty field, stand the burnt out wreck of a car. There is nothing around it, but just in the middle of nowhere stands this burnt out husk of a vehicle. 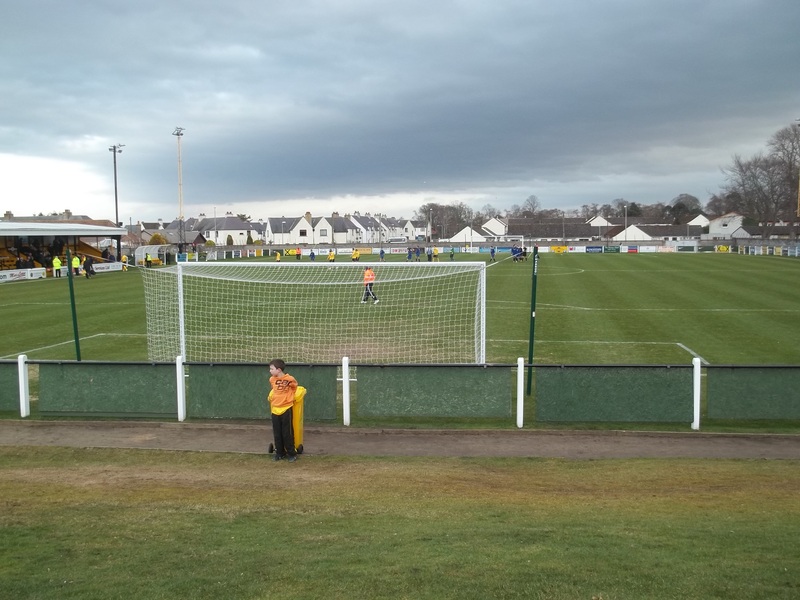 Upon arrival at Nairn, instead of having to walk round, there is a bridge over the line, and all those heading for the ground just head over that and practically straight into the turnstiles. While I do like to explore, the short cut is an appealing option, and so I follow suit. I arrive in time to see the teams going through their last few warm up routines, before they disappear back into the changing rooms. The teams are announced, but it occurs to me that it is the first time that I have heard the managers, assistant managers and even physio’s announced. It is also the first time I have been to a league game of any kind where one team has a player announced as “trialist”. Not content with having just the one in their team, Huntly have another on the bench. There is a grass bank behind one of the goals, and although there are a few groups perched at the top, it provides a great deal of entertainment to one group of youngsters, who are quite happy to roll down it given that the game isn’t the best. For their part, Huntly are playing better than the difference in their league records would suggest, and as the game progresses, there are quite a few shouts from within the home team, urging their team mates to up their game. Huntly are being let down by their final pass, as several attacks break down, just when it appears that they will create a chance.The first half ends 0-0, and the teams troop off, with Huntly presumably feeling the happier of the two. The only goal of he game arrives eight minutes into the second half. There is some argument as to whether the corner should have been given, and from my vantage point, it certainly looks like a goal kick, but the Howard Webb lookalike of a referee gives a corner. This provokes a strong choice of words from one Huntly centre back, and he is cautioned. The corner is not properly cleared, and when it is returned into the area, Martin MacDonald is able to propel the ball goalwards and into the net. There is a palpable sense of relief from the home fans, as well as from their team that the deadlock has been broken. It knocks the stuffing out of Huntly for a while, but they start to get back into the game again. However, they appear to be vulnerable on the break, but Nairn still aren’t playing that well. There continue to be some good passages of play, but these are still few and far between. The over elaboration that plagued the home teams first half performance continues, and with the wind still providing the occasional strong gust, the home team grind out a 1-0 win that maintains second place. The forty minute wait at the station for the train back to Inverness passes very, very slowly. The coach carrying the Huntly team provides a few minutes of entertainment as it reverses at speed in order to turn round and take the team home, but mainly, it is just cold. When the train does arrive, it takes a few minutes for the warmth of the train to have any kind of benefit. The football hasn’t been great, but at least I have seen a goal (after two consecutive 0-0 draws) and I have been able to tick off the Scottish highland league. What the future holds for the game in this part of the world is unclear, but it certainly appears that the league wants no part of the proposed Scottish pyramid system. 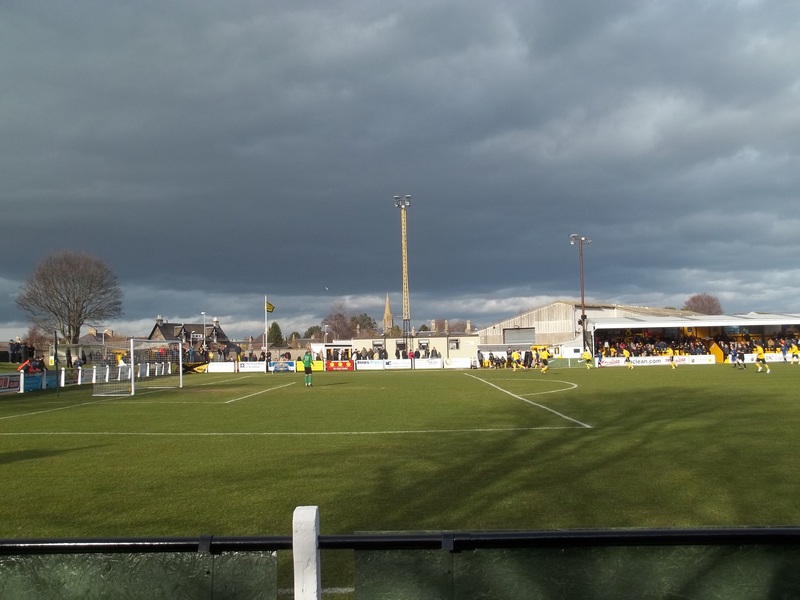 This entry was posted in Scottish Football and tagged Highland League, Huntly, Nairn County. Bookmark the permalink. Nice to read some stuff about the Highland League up in Scotland. I have a good friend who used to play for Brora Rangers, and he has told me many stories about the Highland League. If I am being honest, I didnt think that I would see any write ups about it online, so it was a nice suprise to stumble upon this. Hope its not too cold for this weekends Highland League fixtures!